The huge crush of burn victims from the Formosa Fun Coast disaster has exposed long-existing problems in Taiwan's national health insurance system. Can the incident prompt reforms that make the lives of overworked medical professionals a little easier? On the night of June 27, the passion of Taiwan's medical workers surged like never before. More than 100 ambulances rushed badly burned patients between Bali District in New Taipei and 43 hospitals in seven cities and counties, their shrill sirens piercing the calm of night as they sped along provincial highways 15 and 64. No one could have foreseen that a "Color Play Asia" party at the Formosa Fun Coast water park in Bali would turn into a deadly inferno. The more than 400 people who suffered burns in the incident severe enough to require hospitalization represented the biggest group of people needing medical treatment in any single disaster in Taiwan since a magnitude 7.3 earthquake devastated central Taiwan on Sept. 21, 1999. "It's unbelievable Director Chen. There are so many patients," was how one colleague described the scene by phone to Chen Shyi-gen, the head of the Department of Surgery at Tri-Service General Hospital in Neihu. From his home, Chen put in motion a mechanism for treating large numbers of patients, mobilizing 300 to 400 medical workers to be on emergency standby. "Ambulances were arriving one after the other without interruption, piling up outside the Emergency Ward," says Chen, who rushed back to the hospital by car after getting the call. It was the first time he had seen such commotion in his 28 years of practicing medicine. The anguished wails of patients, whose skin had separated from their flesh and who were shaking uncontrollably, filled emergency rooms. Medical workers anxiously cleaned the patients' wounds with saline solution, dressed the wounds, and administered fluids intravenously as quickly as they could. "Our hydrotherapy tubs were in constant use to clean patients' wounds. Those who had breathing difficulties and needed to be intubated were intubated. It seemed as though everyone in the hospital had been mobilized," Chen says. "Tri-Service General Hospital did not sleep that night." The same frantic emergency measures to save lives were playing out at other hospitals called in to help with the sheer crush of patients. Two nurses, identified by their Internet handles "Meatball" and "Bowl Cake," described the ordeal in an article on the blog "Nurseilife" called "If you are willing, we are willing to help you make it through." "That night, we could not sleep. After being busy all night, we didn't sleep very well, our minds sated with scenes of blood. The soreness we felt from holding up patients' limbs as their wounds were cleaned and dressed reminded us of the battlefield we had just come from. Our colleagues who took over on the overnight shift needed two hours to hand off their duties to the day shift before they could leave the next morning. Every one of them worked to the point of exhaustion, not even having a minute to get a drink of water," the nurses wrote. "Everyone worked extremely hard but nobody complained about being tired. At that moment, we suddenly realized that at a time when everybody sees hospitals as sweatshops and wants to quit, at the bottom of each person's heart still exists a love for the profession," the nurses wrote in another blog titled "A night without calm." On the night of the disaster, when intense flames were triggered by successive explosions of the colored cornstarch liberally tossed around the party's venue, medical workers relied on huge rushes of adrenaline to work together and get through the initial patient load. But the immense challenge posed by the disaster was only beginning. Fast forward to July 3, day 7 of the effort to treat and save the burn victims. As the number of critical patients rose, the pressure on doctors and nurses grew more intense. At 7 a.m., all of Tri-Service General Hospital's plastic surgeons were gathered in a meeting room of the hospital's burn center, reviewing the progress and condition of their 50 patients. Over the previous week, the hospital rushed to free up four to five operating rooms for the use of eight plastic and reconstructive surgeons on staff and more than 10 resident and intern physicians. The team was divided into four groups that took turns in operating rooms from early in the morning to midnight, helping patients cut away dead tissue or scabs, medically removing dead, damaged or infected tissue (called debridement), and grafting skin. Because of the teams' strenuous efforts, patient treatment was ahead of schedule. "Everybody is really tired, but I hope you can all hold on a little longer….We have reached the skin-grafting phase, where we can reduce the size of patients' wounds," said Niann-Tzy Dai, head of the hospital's burn center, to keep his colleagues motivated. In the burn unit and intensive care unit, four to five nurses work together to give each patient pain medicine and change each patient's dressings, raising their legs, lifting their arms….Changing dressings twice a day – once in the morning and once in the afternoon – is a major undertaking, requiring at least two hours each time. At a time when medical professionals are working themselves into the ground as they engage in a tug-of-war with death over their patients, the explosions in the water park have exposed the inadequacy of the health insurance system and a looming medical collapse. Taiwan's medical expenditures are 6.6 percent of gross domestic product, far lower than other countries with similar income levels, which may explain why the rate of growth of staffing at hospitals lags far behind the growth in demand for health care services. 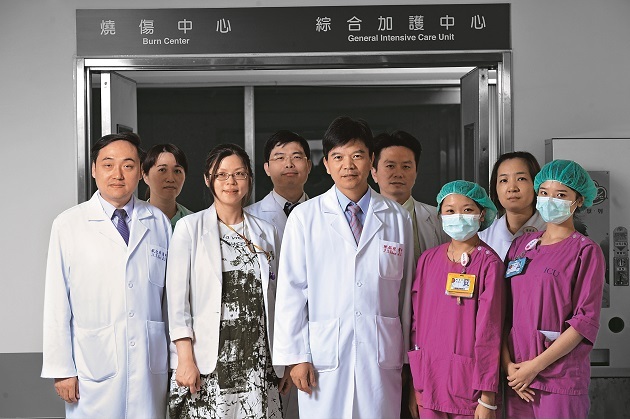 Tri-Service General Hospital head of surgery Chen Shyi-gen (front row, third from left) and burn center director Niann-Tzy Dai (front row, left) have fought to save the lives of burn victims. Over the national health insurance's 20 years in existence, several problems, such as relatively low reimbursements, understaffing, and an imbalance in resources, have grown increasingly serious and caused plenty of moans and groans in the medical community. The National Health Insurance Administration has taken certain steps to distance hospitals treating burn victims from those problems and assure them that they will not be hurting their interests by providing care. Among the measures taken: setting up a special fund to advance hospitals the cost of treatment and pledging that the amount reimbursed for burn victim care will not count against each hospital's global budget (a cap on the amount they can be reimbursed for treating patients). But those steps have not appeased the medical community because reimbursement levels have always been low, at times forcing hospitals to treat the injured at a loss. 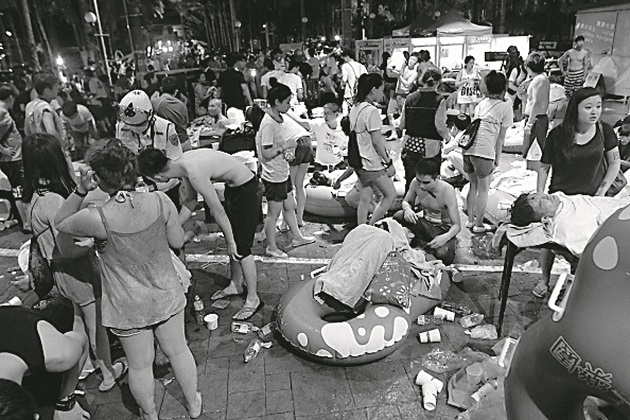 Because of the heavy burden the disaster put on major hospitals, the Health Ministry on July 2 publicly appealed to people to avoid going to the emergency rooms of 10 major medical centers, including National Taiwan University Hospital, unless absolutely necessary. Though the announcement was well intended, it left many hospitals in a state of gloom, worried that their revenues would be hurt "I knew they would play games with us. We won't be able to pay people their salaries! Without complementary measures, it's tantamount to penalizing the hospitals that are saving people," said a senior executive at a medical center anxiously. Medical workers on the front lines feel the same way. Shih Hau-hsiang, a plastic and reconstructive surgery resident at Far Eastern Memorial Hospital, lamented on Facebook that the plastic surgery operating room had been completely swamped every day since 8 in the morning. Every debridement surgery for a seriously injured burn victim requires at least three doctors, three nurses and an anesthesiologist and even then takes at least three and a half hours to complete. "For such a big procedure, how much does national health insurance reimburse? The answer is not even 1,000 points. And we can expect that because of the huge consumption of resources, it's almost inevitable that point values will be diluted," he wrote, clearly not believing the NHIA's pledge that the expenses spent on burn victims will not affect hospitals' global budgets. The "1,000 points" Shih referred to means that if one point equals one Taiwan dollar, the NHIA will only reimburse the hospital about NT$1,000 for such a time-consuming operation. But in fact, under the NHIA's global budget system, an overall budget capping total national health insurance expenditures is established each year. Each sector has a pre-set spending ceiling within the overall pie, and if the volume of services in that sector exceeds the ceiling, point values will drop to keep total spending in line. That means that 1,000 points can easily fetch only NT$800 or NT$900 in reimbursements. That payout is less than it costs to groom a husky in a pet grooming shop, leading to commonly heard complaints in medical circles that people are worth less than dogs and cats. As the burn victims tried to get through the critical first two weeks of the recovery process, and hospitals guarded against patients developing septicemia or having their organs fail, the unreasonable reimbursement rates for intensive care resurfaced. Nurses have remained at their posts and shown passion through the recent ordeal, but they are still in desperate need of a more reasonable and sustainable national health insurance system. Ma Hsu, the former president of the Taiwan Society for Burn Injuries and Wound Healing, told CommonWealth Magazine after the Kaohsiung gas explosions in late July 2014 that every medical center's burn care unit operates at a loss, with every bed costing the hospitals a few thousand Taiwan dollars a day. And because of the low health insurance reimbursement rates for intensive care, hospitals also tend to ignore intensive care personnel and the ICU itself. One intensive care physician revealed that because hospitals do not see ICUs as money-making units, they avoid investing in them, leaving ICU personnel to work in extremely challenging conditions. ICU physicians are even required to hold outpatient clinics and perform surgeries to be "more productive." "Frankly speaking, if a hospital has to draw on outside funds to supplement my salary, it will wonder why it even bothers to keep me on staff," says the physician with a wry smile. Yu Chong-jen, the president of the Taiwan Society of Pulmonary and Critical Care, has championed the idea of full-time attending ICU physicians in Taiwan because overseas studies suggest that full-time intensive care doctors can significantly lower patient mortality rates and reduce the length of hospital stays. But Yu went through the numbers with CommonWealth Magazine to explain why the idea will probably never come to fruition. 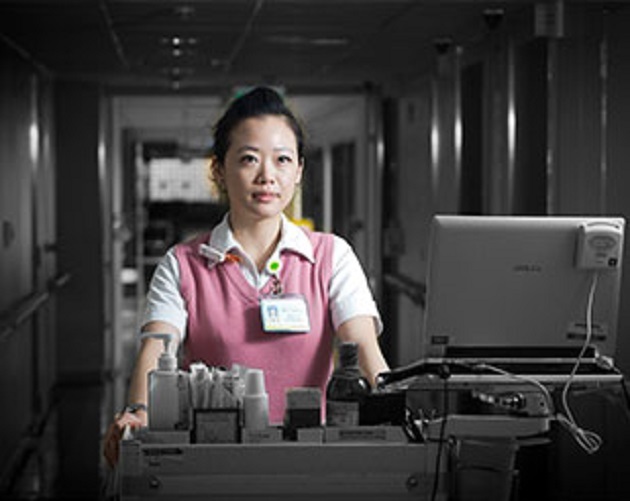 The national insurance system pays only NT$700 per bed for ICU physician examination fees. Doctors are employed by hospitals, and in hospitals that do not pay physicians base salaries, the facility distributes no more than half (NT$350) of the payout to the doctor. If a hospital has an ICU with 10 beds, the attending physician will only make NT$3,500 in examination fees. And no individual doctor is going to oversee an ICU for 24 hours, meaning that two to three people will have to share already limited reimbursements, pushing incomes even lower. "Who would want to be a critical care physician?" a worried Yu says. The universally inexpensive medical services provided by the national health insurance over the past 20 years have been built on the sacrifices of hard-working medical professionals. Under such circumstances, how can Taiwan's health care system have a bright tomorrow? Orthopedist Lin Chia-wei likened the crisis facing Taiwan's medical system on Facebook to the movie "Day After Tomorrow" in which abrupt climate change sparks massive tornadoes and major floods, followed by plummeting temperatures that plunge the planet into a deep freeze. "The large number of burn victims resulting from the Formosa Fun Coast dust explosion incident has basically reached disaster proportions. How much longer can a health care system that was already overloaded hold on for?" Lin wrote. If the national health insurance system is not reformed, the collapse of the health care system will only be accelerated. One NHIA official confided with a sense of frustration that the health system's problems are not new and in fact have been around for more than a decade and will continue to exist into the future. What is clear is that saving lives relies on more than just the momentary passion of dedicated medical professionals. Even more important is a rational, sustainable system, but that will take boldness and determination on the part of government agencies responsible for health care policy. If the government fails to examine whether health insurance should continue to be a "social welfare" program that covers everything or an insurance program with a limited scope; and if it is not willing to persuade the public to accept higher premiums and higher co-payments when necessary, then the helplessness of officials may very well be the true tragedy of Taiwan's health care system.